Like its name its back is covered by thick leathery skin and oily flesh unlike other turtles with bony shells. With a large almost tear-drop like body , it also has a large pair of front flip flippers that can grow up to 2.7 m ( 9ft) that powers their swimming abilities. 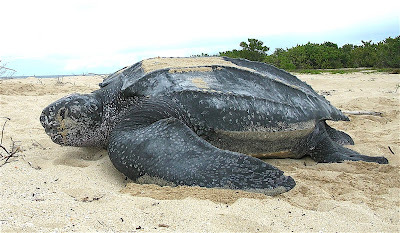 These huge turtles are a species with a cosmopolitan global range , meaning that they can be fond in all tropical and subtropical oceans including the Arctic Circle . Despite not having a bony shell adult Leather Back Turtle surprisingly face only a handful of predators . Although strictly a carnivorous and aquatic species , it is observed that they are more likely to stand in shallow waters where their snout can reach the surface to breathe. "Mata Mata Turtles" make interesting display animals as they have a very unique feature and are able to grow to large sizes. 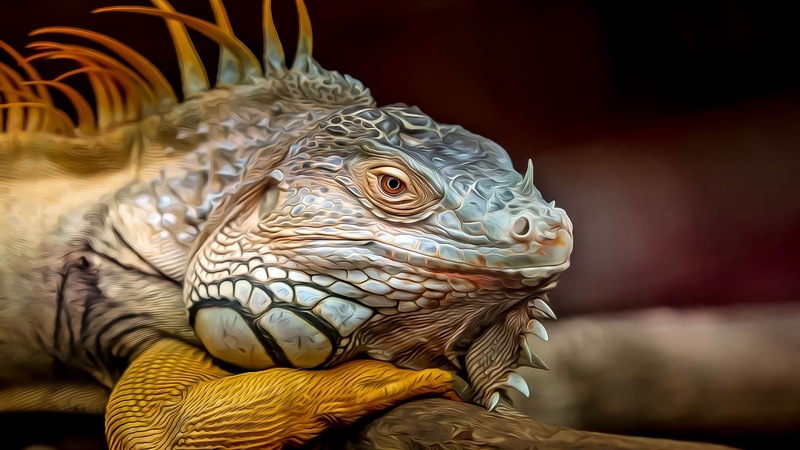 They are famous among the exotic pet trade however are quite expensive .. 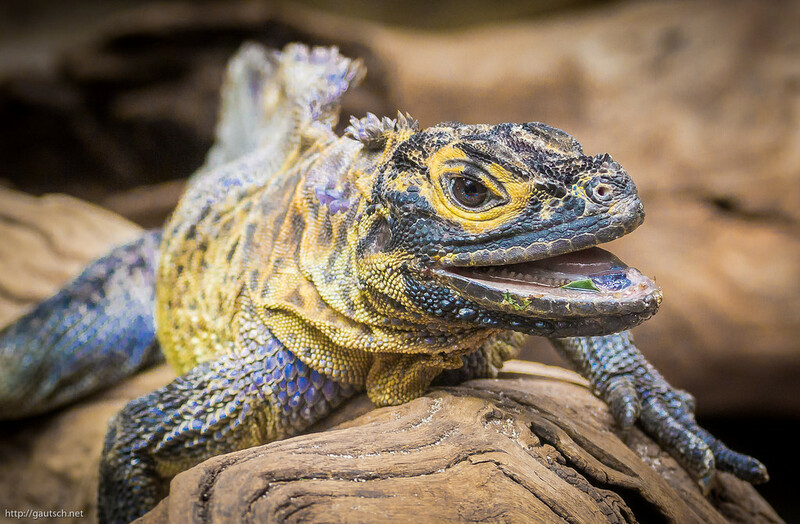 These colorful reptiles are Zygodactylous , meaning that the five toes on each foot are fused into a group of two and a group of three. This gives the foot a tongs-like appearance and is what enables them to have a tight grip on narrow branches . Unlike many reptiles , "Panther Chameleons" have unique eyes where the upper and lower eyelids are joined , with only a pinhole large enough , for the pupil to see through. Meaning they can observe two are independently , but also can focus on one direction when prey is on sight. Their stereoscopic vision makes them experts at depth perception , even being able to spot small insects as far as 10m ( 33 ft ) away! 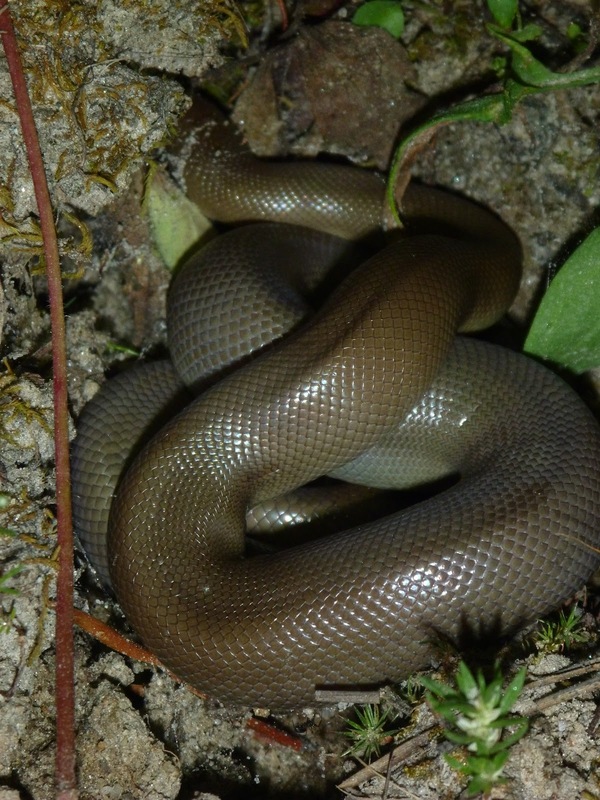 Also known as the Coastal Rubber Boa, these snakes have short blunt tails that closely resemble the shape of their head and loose , wrinkled skin that consists of small scales that are smooth and shiny , giving it a rubber-like look and texture-hence their name. Rubbers Boas are usually tan to dark brown with a lighter ventral surface, however there are in olive-green, yellow or even orange. These are quite different from other snakes . The Rubber Boa is considered as one of the most docile of the Boa species and are often used to help people overcome their fear of snakes . Interestingly however they can live in surprisingly cold places even for a snake . Rubber Boas are viviparous ( give birth to live young ) and can have up to 8 young per year, but many females will only reproduce every four years .. This large lizard species is endemic only to the Philippines . The Sail-fin Dragon has flattened toes that enables it to typically run across water , also making it an excellent swimmer. Sail-fin Dragons are now classified as vulnerable by the IUCN due to habitat loss , being hunted for food and collection for the pet trade..
Also known as the Sea Crocodile, Estuarine Crocodile, Indo-Pacific Crocodile, Marine Crocodile , or as Sal-tie , it is the largest of all living reptiles in the whole wide world. These huge crocodiles are able to over power other huge predators such as sharks , when it is their territory . 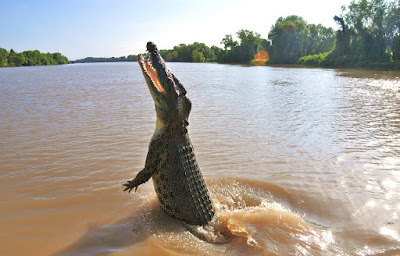 Salt Water Crocodile have the broadest distribution of any modern crocodile , ranging from marine environments ( mangrove swamps , deltas , river , etc ) in the eastern coast of India throughout most of Southeast Asia and northern Australia . It holds the record as being the most dangerous crocodile species due to its over powering size and unpredictable aggression . Leaving little hope to none for those that unintentionally wandering into their territory once they may direct contact. These include deer , wild boars, tapirs ,,orangutans , tigers water buffalo's and even humans. As if they don't hold enough world records already Saltwater Crocodiles also hold the record for the highest bite force ever ! As a comparison to this , note that we only exert 200 pounds per square inch of force to tear down into a steak . Think about that! However, its ability to open its jaw is just had as it is good in closing them. They have small and weak muscles to open their jaw which can easily be secured shut with only a few layers of duct tape. These Crocodiles are responsible for hundreds of attacks and human deaths every years.. 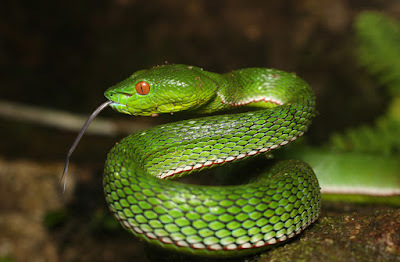 These highly venomous pit vipers can often be found in near rivers and streams lowland habitats , usually near human habitations , well camouflaged in leaf litter . 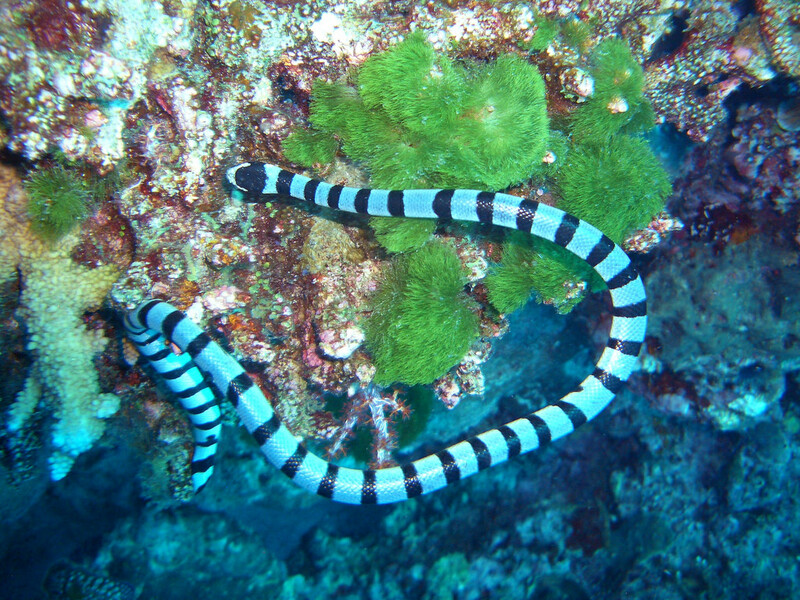 Also known as Coral Reef Snakes , Sea Snakes are a subfamily of venomous elapidae snakes that inhabit marine environments for most or all of their lives being able to swim at depths over 90 m and can remain submerged for as long as a few hours . Unlike other reptiles that also have thick and scaly skin the Sea Snakes are observed to be able to breathe through the top of their skin . Their only natural predators are Galapagose hawks and certain herons which feed on their young . 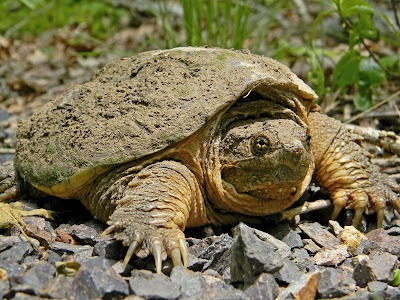 More famously known as the Common Snapping Turtle, these are a species of large freshwater turtle that are noted for their combative disposition when out of the water with its powerful beak-like jaws and highly mobile head and neck -hence their specific name being serpentine , which means " snake Like "
These turtles are normally found in shallow ponds and streams . However they are likely to flee and hide the selves underwater in sediment while in the water . Although they are known to be quite fierce in nature , they will slip quietly away from any disturbance ( such as encountering swimmers ) or may seek shelter under mud or grass nearby. However a caught "snapping Turtle" is a totally different story. If caught , they become a really aggressive and have a strong enough bite to easily amputate human fingers . These Turtle are certainly not to be taken lightly..
Spiny Softshell Turtles also have webbed feet a fleshy, elongated nose . 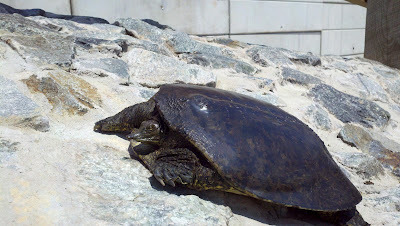 Being the benthic feeders , "Spiny Softshell Turtle" are observed to actively hunt prey or bury themselves in the sand wait to ambush prey..
A large female SpinyShell Turtle may live up to 50 years.. They can grow so big that the largest of its species found would be require 8 full grown men to even lift them from the ground. 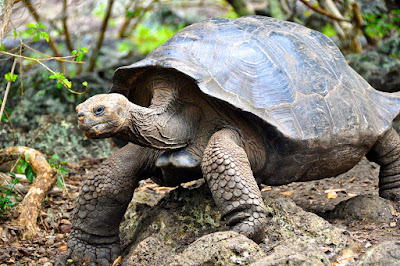 The "Galapagos Giant Tortoise" are native to seven of the Galapagos Islands a volcanic archipelago about 1000 km west of the Ecuadorian mainland . Despite the adult Galapagos Giant Tortoise hot having . 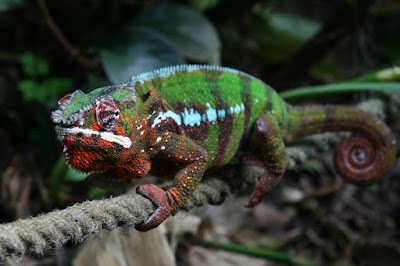 These are believed to be caused by hunting for bush-meat or habitat loss due to deforestation .. These small crocodile type tortoise are widely kept and bred in many zoo..
A single bite from this snake may result in rapid fatality which can be as early as 30 minutes after bitten . Its envenomation was even recorded to be capable of killing elephants within only hours..
Ophiophagus is a Greek-derived word, meaning " snake-eater ". 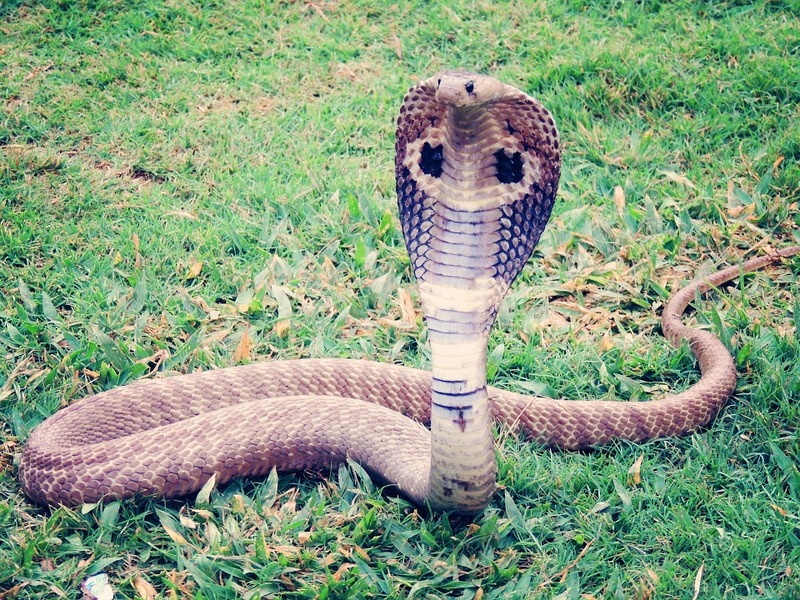 That being said , the King Cobra's diet consists primarily of other snakes including rat snakes , small snake pythons , and even other venomous snakes . However ,, when food is scare, it also feeds on other small vertebrates such as lizards birds and rodents . Like many snakes , it receives chemical information through its forked tongue ( which picks up scent particles and transfers them to a special sensory receptor located in the roof of its mouth ), much to the human sense of smell. 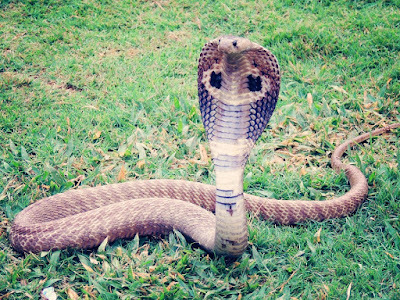 It is capable of delivering a fatal bite and the victim may receive a large quantity of venom with a dose of 200 to 500 mg or even up to 7 ml. 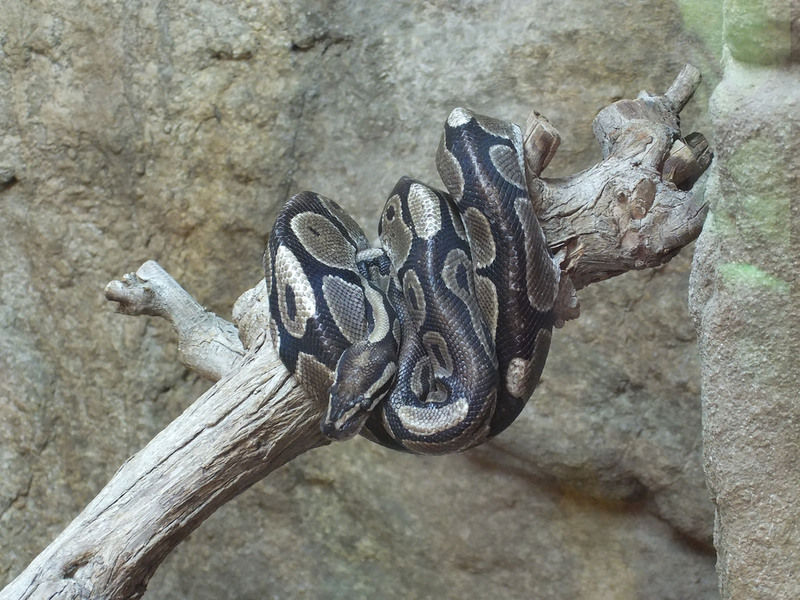 It bitten, large quantities of antivenom are needed to reverse the progression of symptoms resulting in severe pain, blurred vision, vertigo , drowsiness and eventually paralysis . In some serious cases serious , the symptoms may progress to cardiovascular collapse , resulting in the falling into a coma , only to die soon after due to respiratory failure ..
Also it has the long fangs up to 5 cm in length ! While observations of the species have resulted in it being a rather slow-moving and placid viper ( often hunting by ambush through long periods of time motionless waiting for suitable prey ) , they are also said to hunt activity . 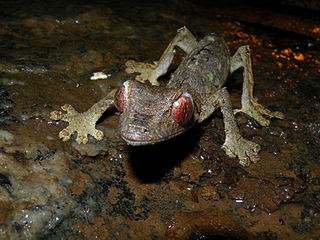 It has excellent camouflage making it almost impossible to spot between piles of fallen leaves in the rain forest. 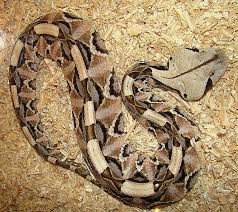 Unlike many other vipers the Gaboon Viper are mostly very tolerant snakes even when handled , rarely biting or hissing . Despite this extreme care should be taken when handled as they are also one of the fastest striking snakes in the world..
A single bite from a "Gaboon Viper" can cause rapid and conspicuous swelling , intense pain local blistering , severe shock defection urination convulsions unconsciousness and many more fatal symptoms that can lead to inevitable death. Most bites only occur when a Gaboon viper is stepped on but even the in some case this does not guarantee a bite. Being carnivorcus, they have over 60 sharp teeth that can measure up to 25 mm and possess blood-tinged saliva because its teeth are almost completely covered by gingival tissue that is naturally lacerated during feeding . These huge lizards dominate the ecosystems in which they live with their giant size , hunting and ambushing prey including mammals ( yes , they are known to attack people ) birds and even invertebrates -making them exceptional hunters in the wild . 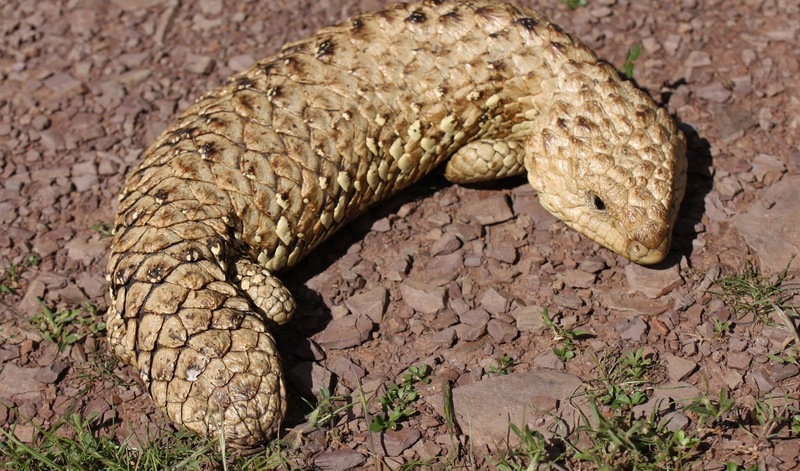 They have exceptional abilities of sight with the ability to see for as far as 280 m , but because their retinas only contain cones , they are believed to have really poor night vision. Komodo dragons are also known to eat a considerable amount of carrion ( decaying flesh of dead animals ) resulting in very bad oral hygiene which only contributes to how dangerous their bite can be . 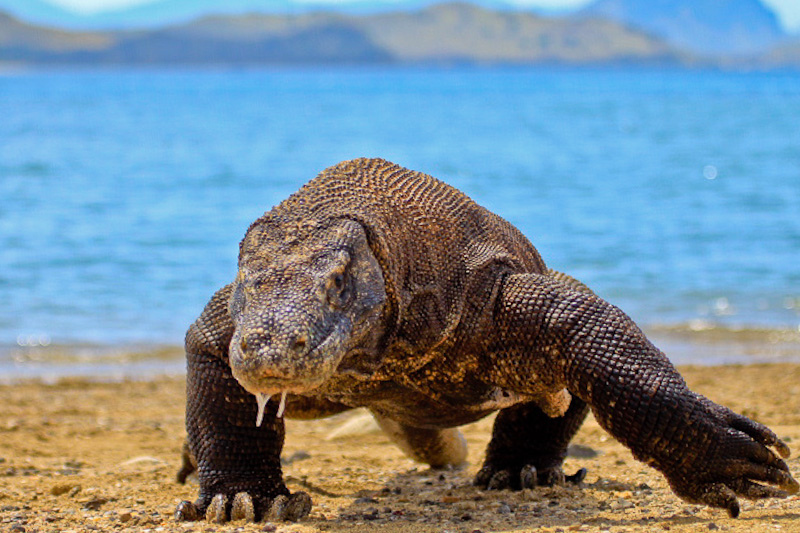 However , recent studies by researchers suggest that although the Komodo Dragons have venom-like proteins in their mouths , they may be using them of a different function and that the result of their bite is primarily caused by the sudden shock and blood loss. Their hide in reinforced with armored scales which contain tiny bones called osteoderms that function as a sort of natural chain mail . They are definitely famous zoo attractions due to their large size and fearsome nature. 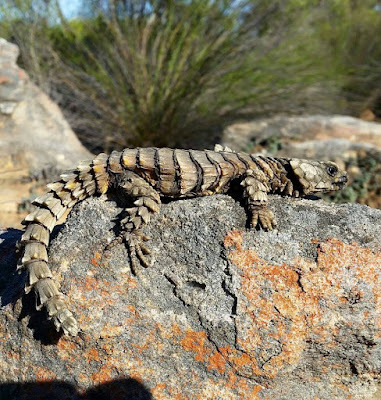 These awesome lizards don't have a standard color as they are able to adapt to their habitats and their colors are a form of camouflage . At the same time raising its relatively large body and at times may holds its tail above its body. It is well known for its brown leaves like appearance which acts as its natural camouflage. Although the Majority of this species are often found to be a mottled brown they also have many other coloration's including shades of yellow , orange and even purple with small black dots on the underside , which is a key feature in identifying them compared to other similar species ..
During the night these adaptions helps them in the hunt for prey by also fooling prey only to strike when in close distance . Its easy to say that the Fantastic Leaf-tailed Gecko is a master of camouflage due to their incredible natural camouflage adaption towards the environment . However they have much more to offer that proves they are masters at avoiding predators . 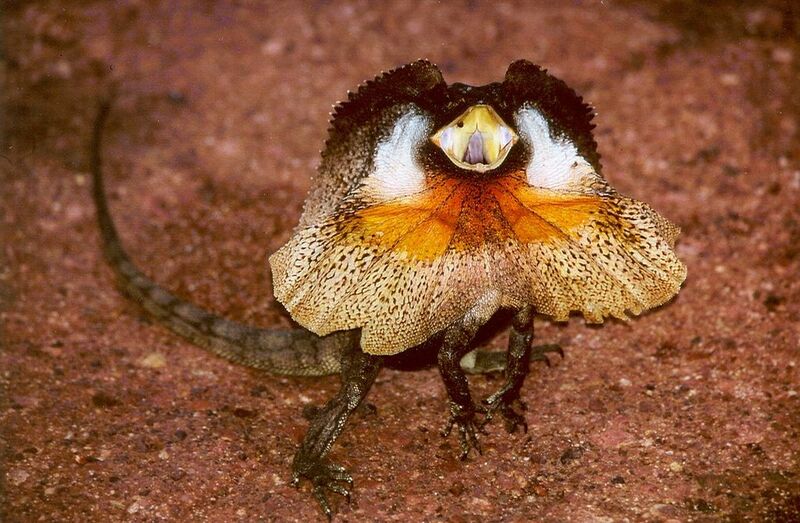 Not only they can wilfully shed their tail to fool a predator and open their wide jaws to frighten predators with their red mouth , they are also observed to flatten their bodies against the surface not reduce their body's shadow heightening their camouflage abilities even more . The head is triangular in shape and is marked on top with a dark brown spear-head outlined in buffy yellow. Although they have many sharp, backwardly curved teeth, like all pythons , the African Rock Python is nonvenomous and kills its prey by constriction. Scientist believe that this trait possibly evolved as a defense mechanism against predators .